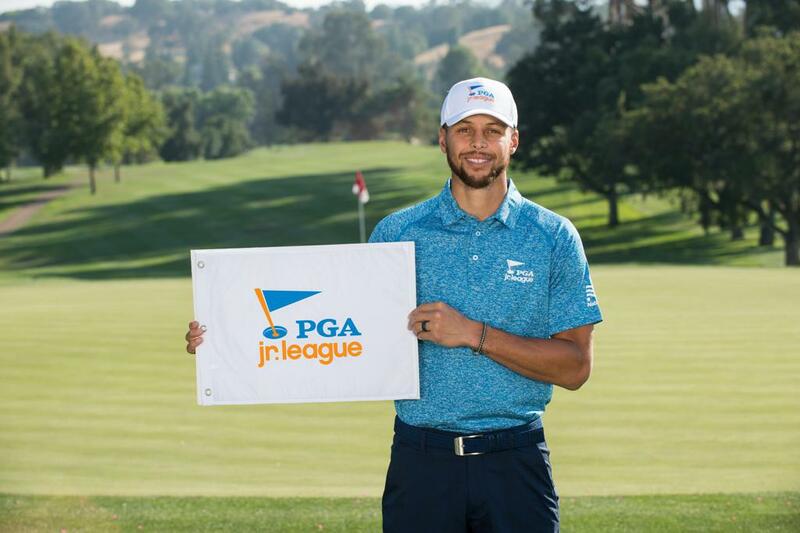 Meet Our Newest PGA Jr. League Ambassadors: Steph Curry and Alex Morgan! PALM BEACH GARDENS, Fla. (Nov. 16, 2018) – Golden State Warriors All-Star and two-time NBA MVP Steph Curry and Olympic Gold Medalist and FIFA Women’s World Cup Champion Alex Morgan have been named the newest PGA Jr. League Ambassadors. Curry’s and Morgan’s new status was announced today at the 2018 PGA Jr. League Championship presented by National Car Rental at Grayhawk Golf Club in Scottsdale, Ariz., Nov. 16-19. This year, a record of more than 50,000 boys and girls played on 4,200 teams nationwide, up from 42,000 kids on 3,400 teams in 2017. Of those players, 81 percent were beginner or recreational golfers, demonstrating the developmental nature of the program and its inclusivity to youth of all skill levels. PGA Jr. League teams for 2019 will be forming soon at golf facilities across the country. For more information about joining a team or finding a local participating facility, click here.